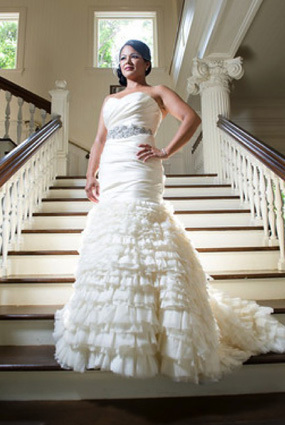 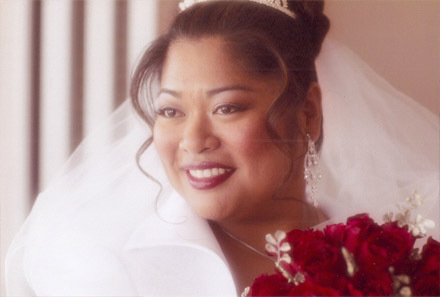 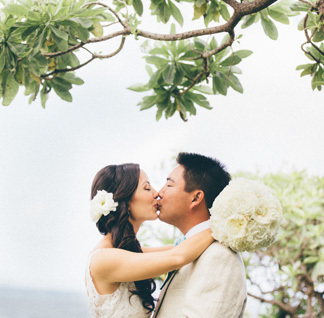 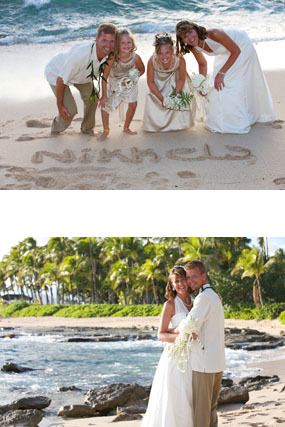 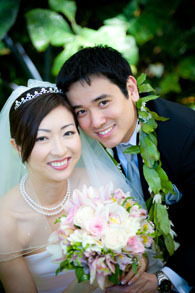 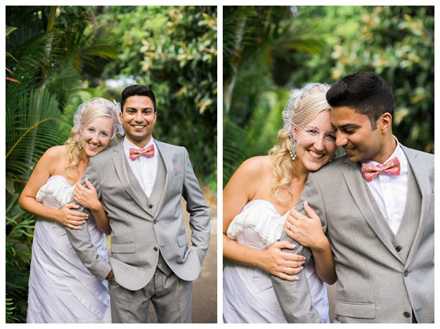 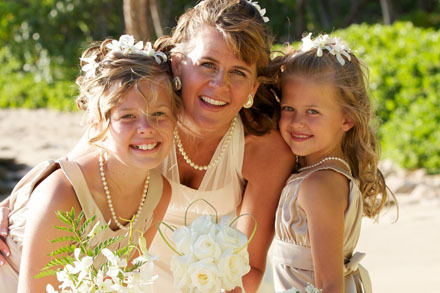 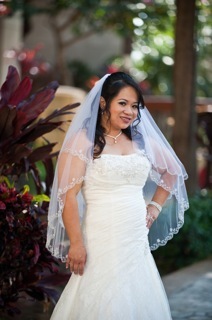 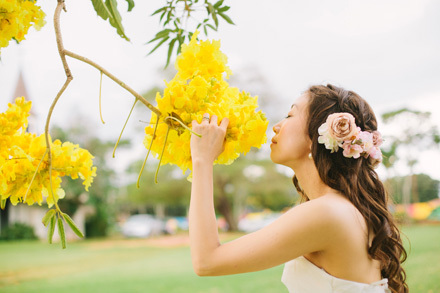 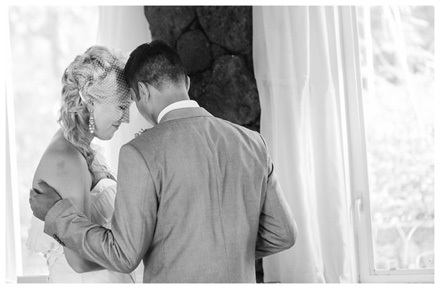 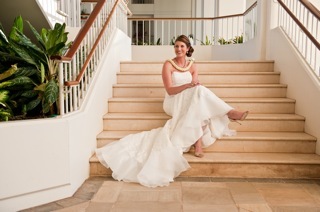 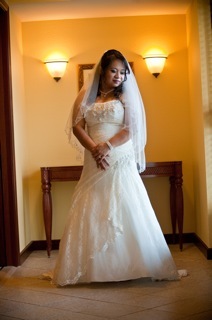 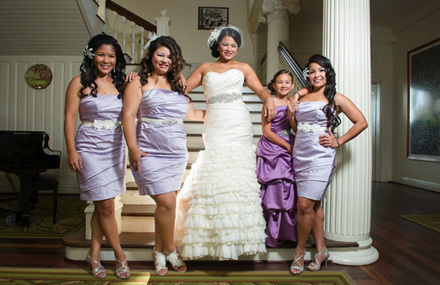 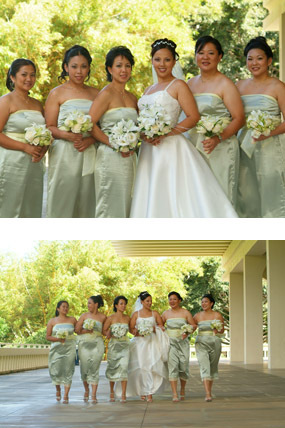 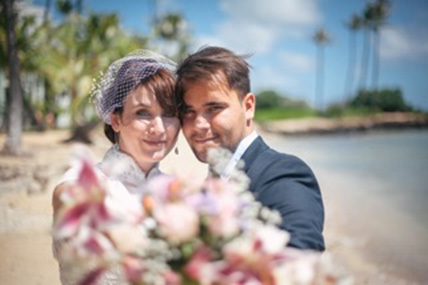 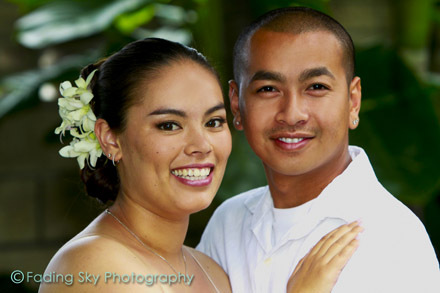 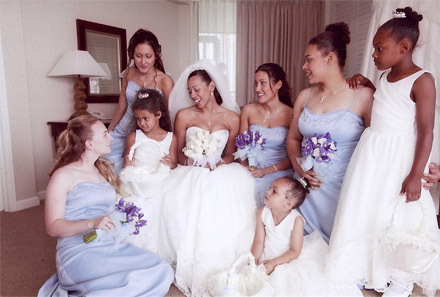 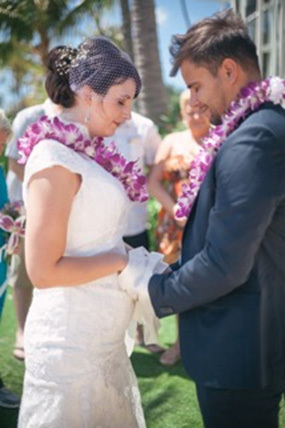 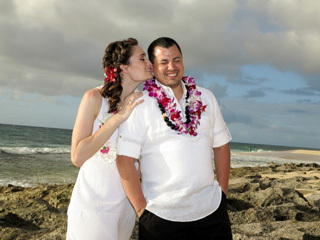 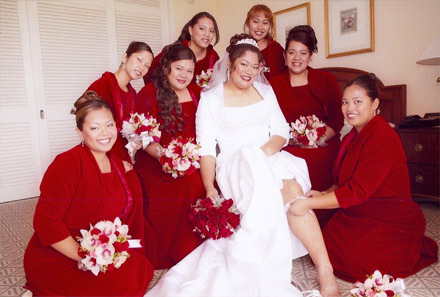 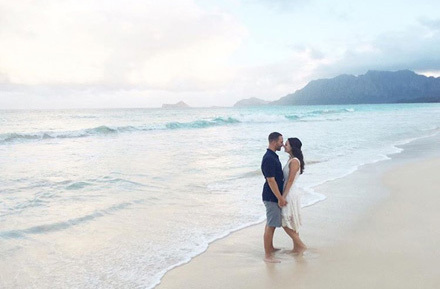 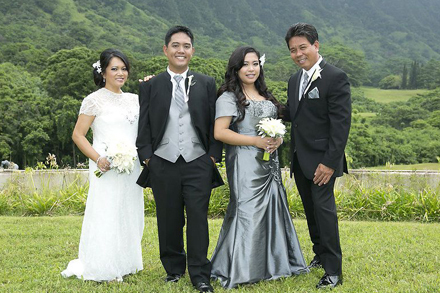 Fun loving bride Coleen warms the Ka'a'awa Plantation Estates with her enchanted Hawaiian wedding. 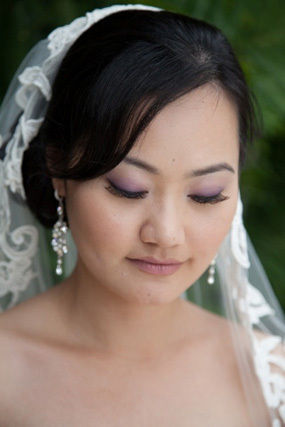 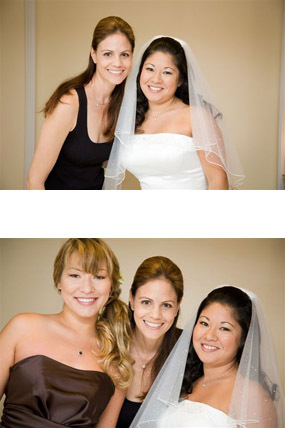 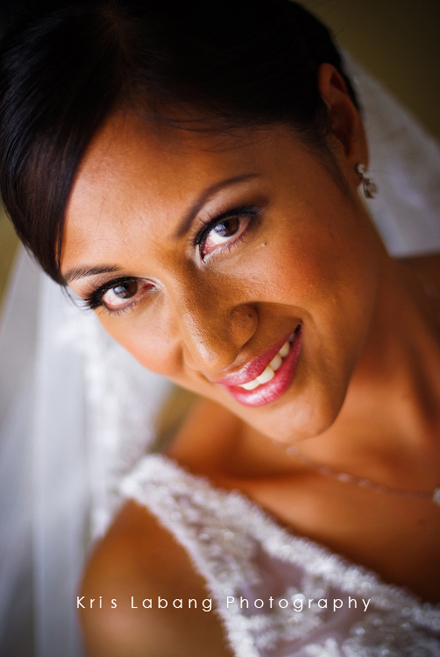 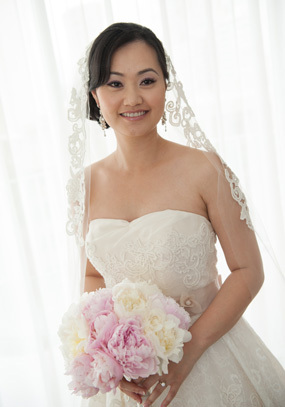 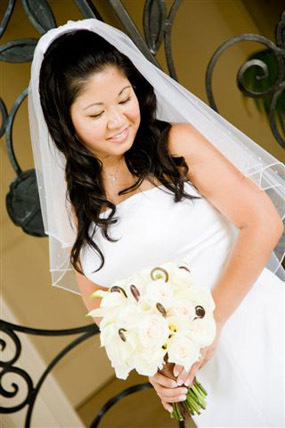 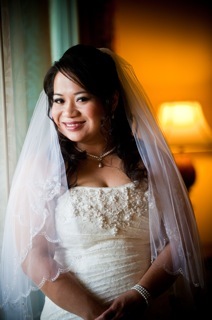 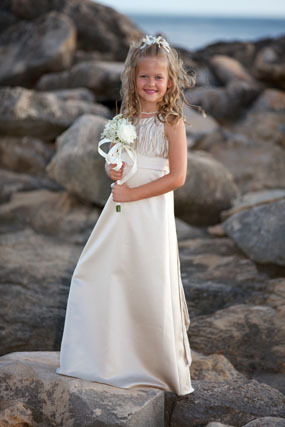 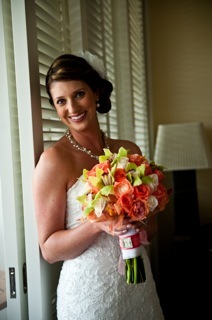 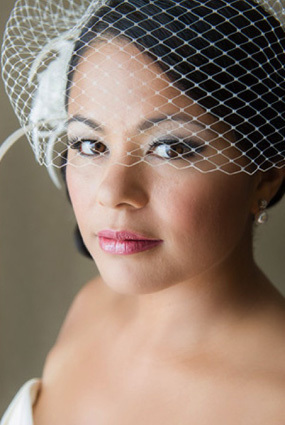 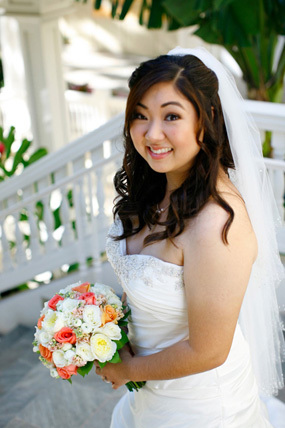 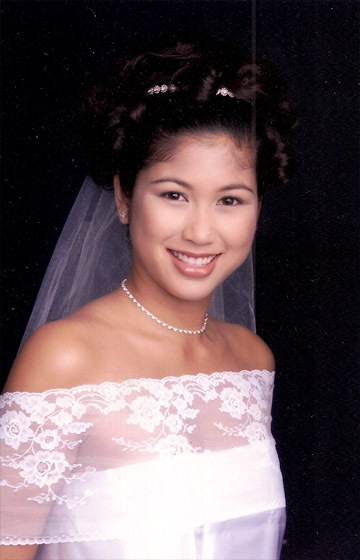 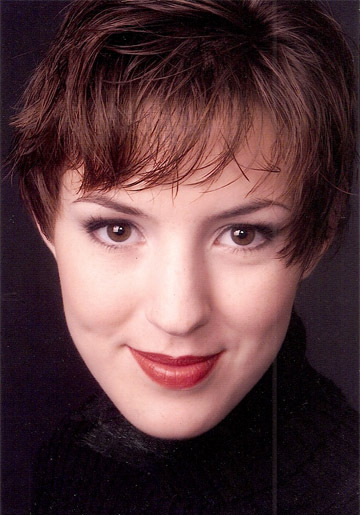 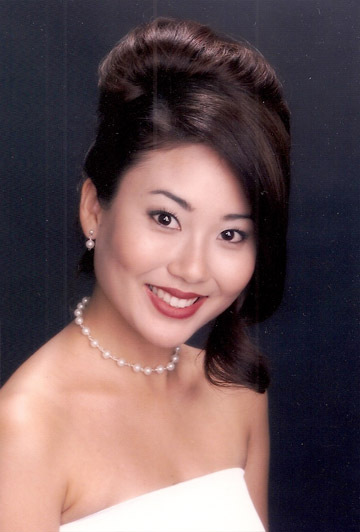 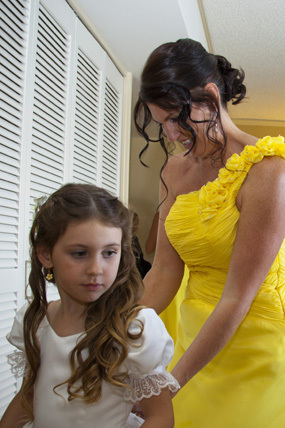 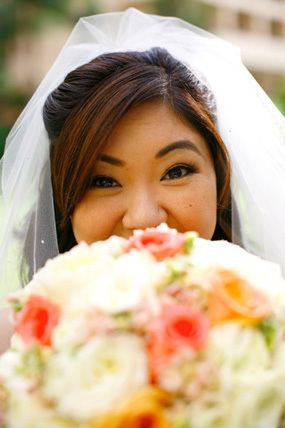 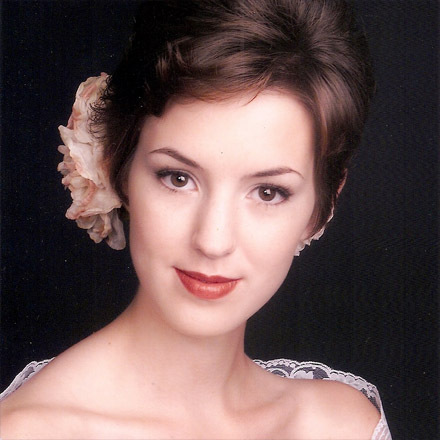 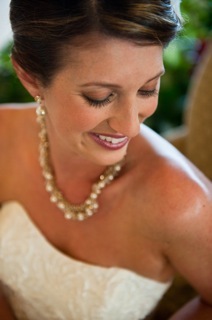 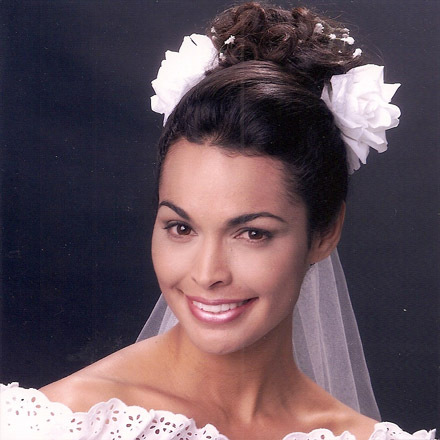 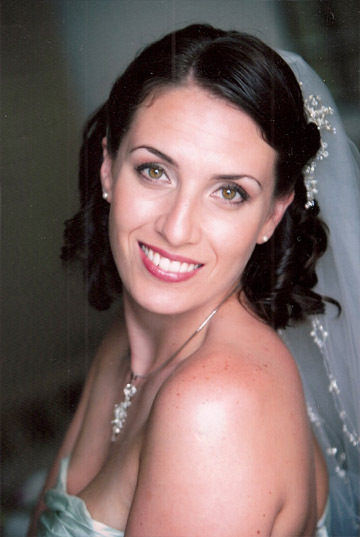 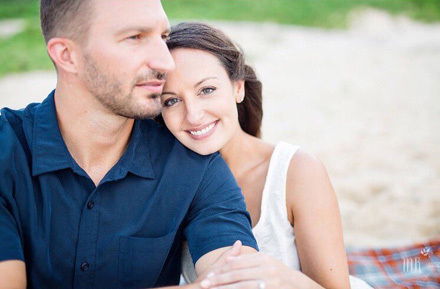 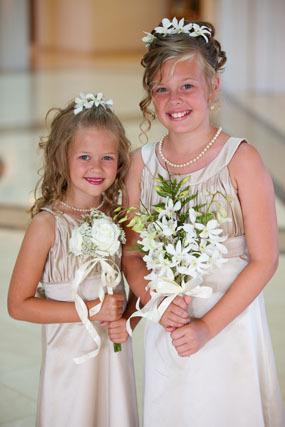 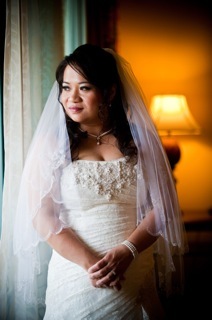 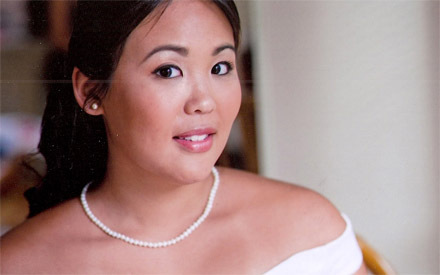 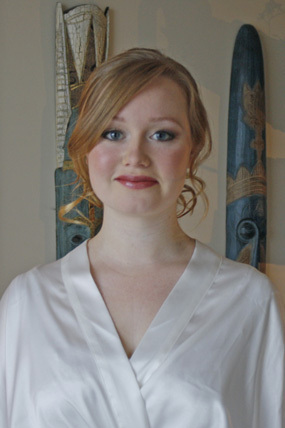 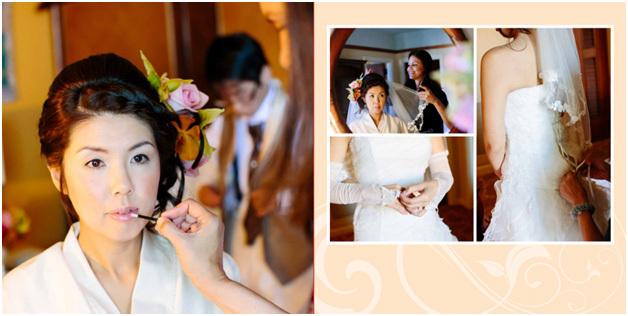 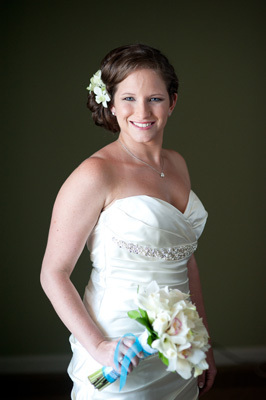 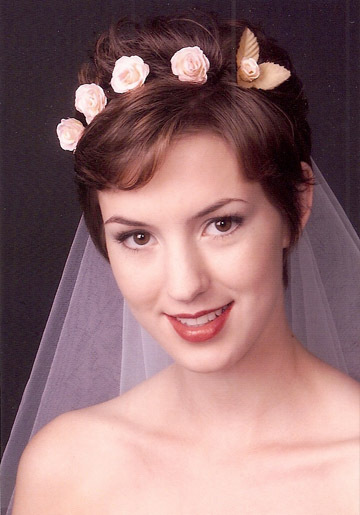 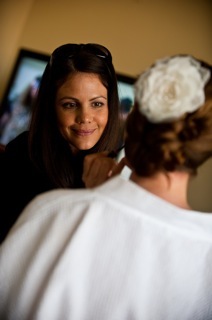 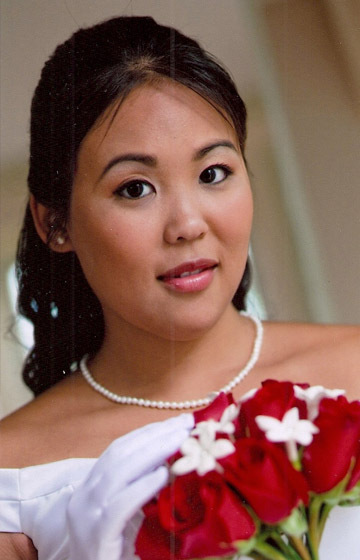 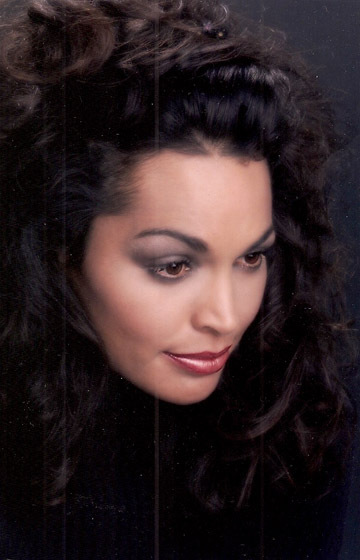 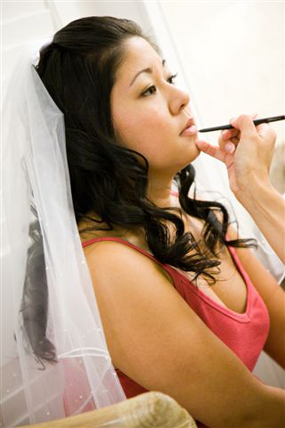 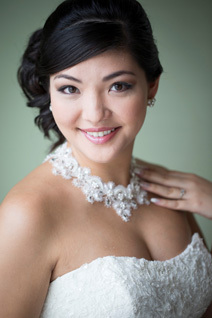 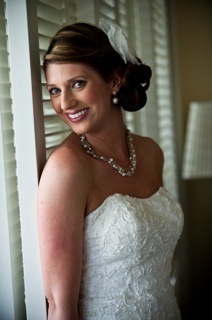 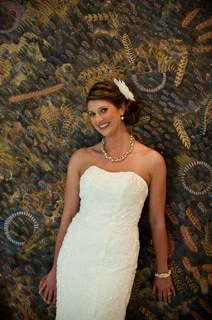 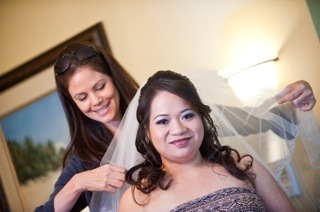 Coleen's bridal look is soft browns and natural. 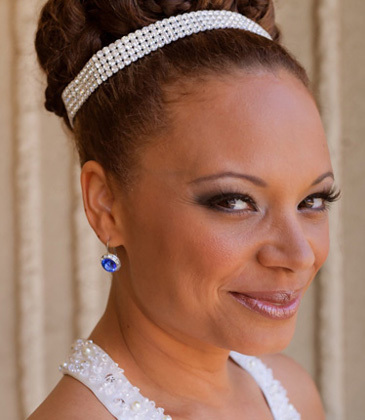 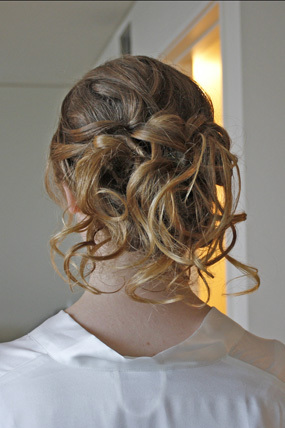 Her wedding hairstyle takes centerstage with detailed textured curls pulled to the side with a vintage birdcage to complete her romantic, free spirited personality. 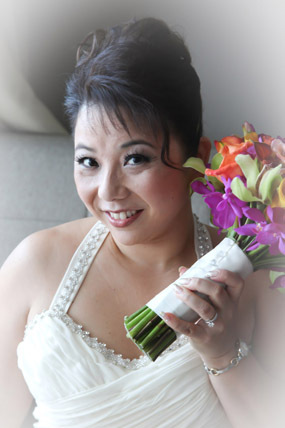 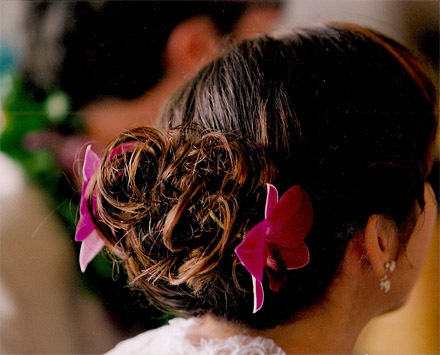 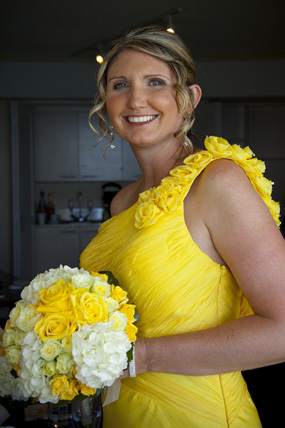 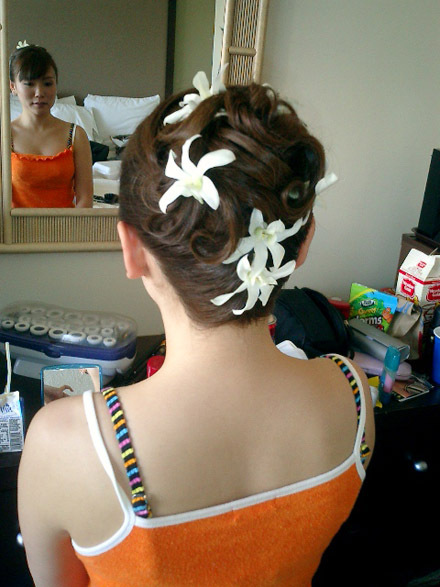 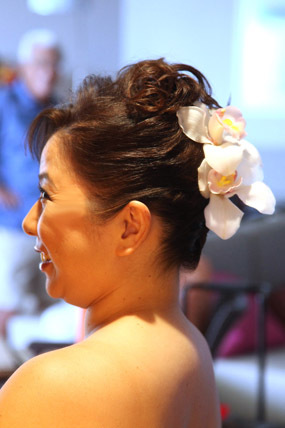 colorful Hawaiian flowers accent her modern, detailed updo. 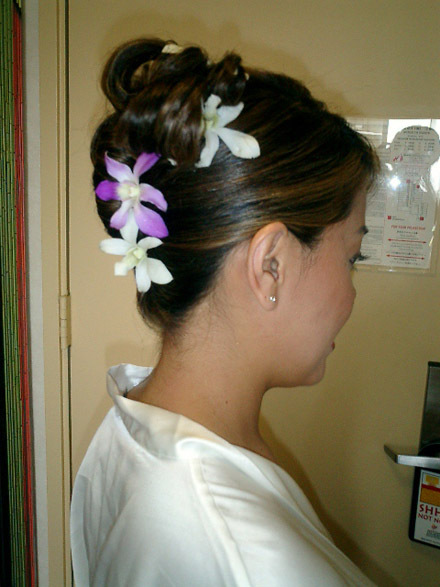 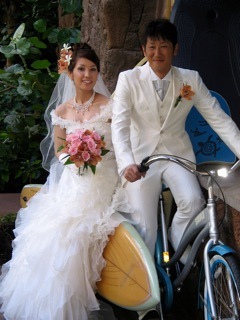 A french braid and her natural beauty adorns my japanese bride at Aulani Disney. 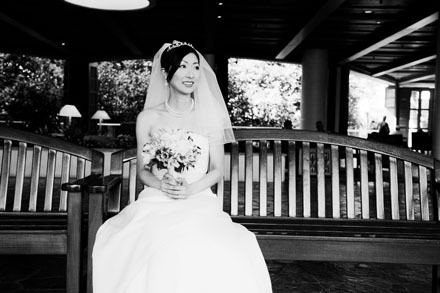 photo by AYANO TACHIHARA Inc. 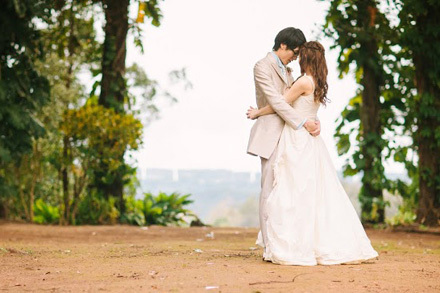 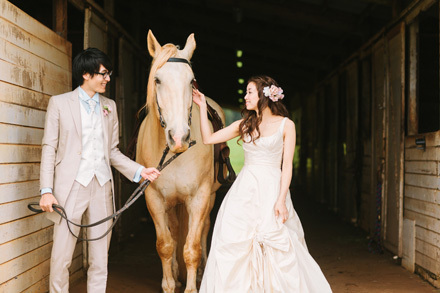 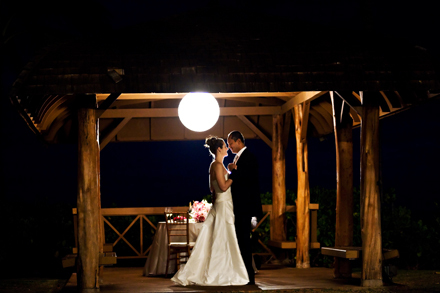 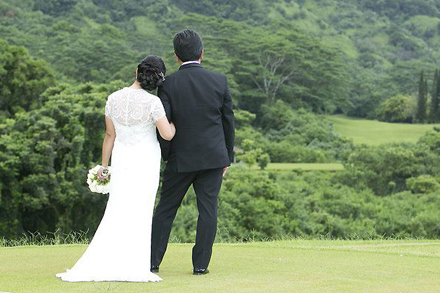 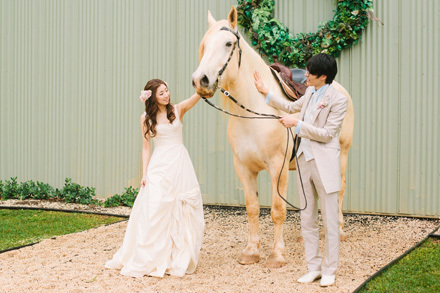 Magical North Shore Sunset Ranch wedding photo shoots with happy couple and friends. 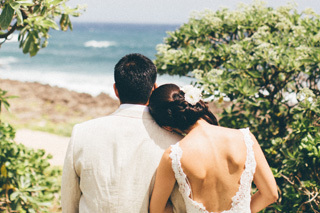 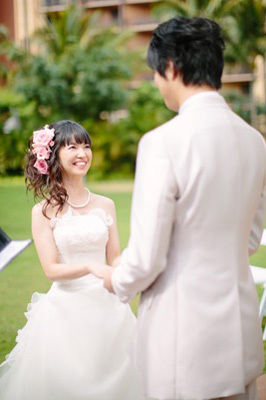 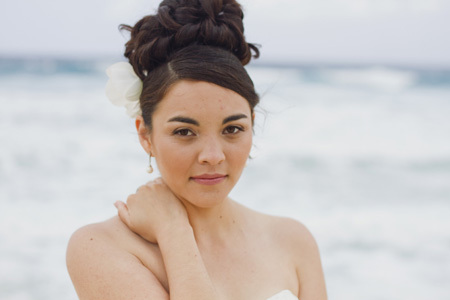 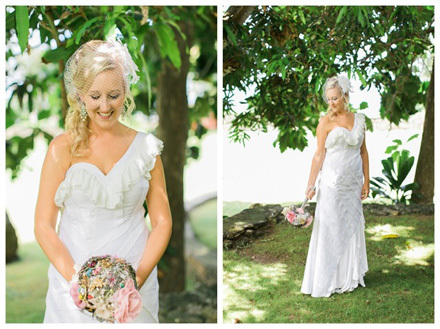 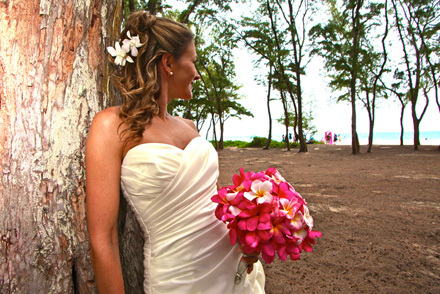 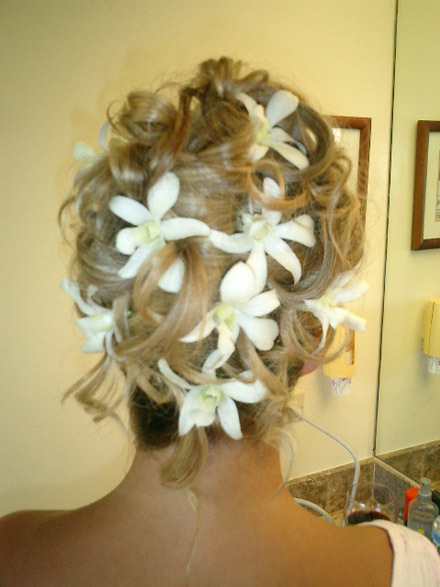 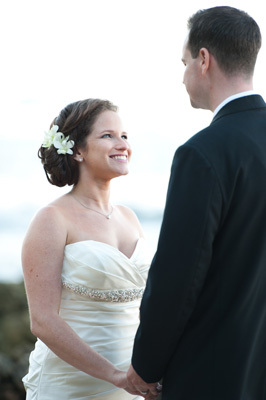 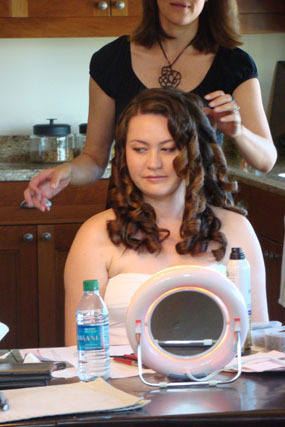 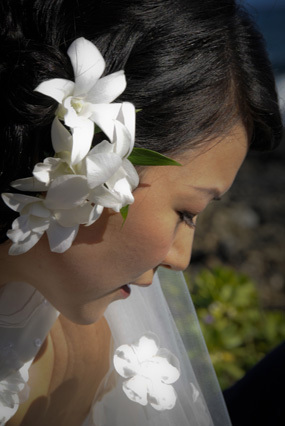 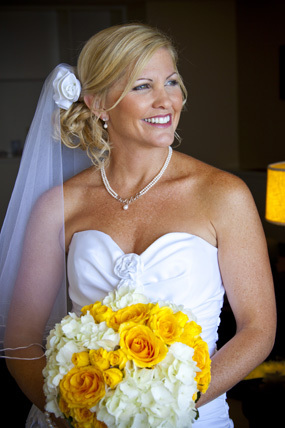 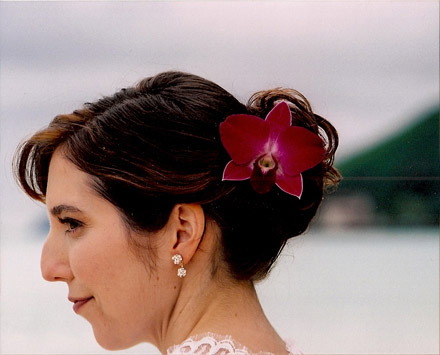 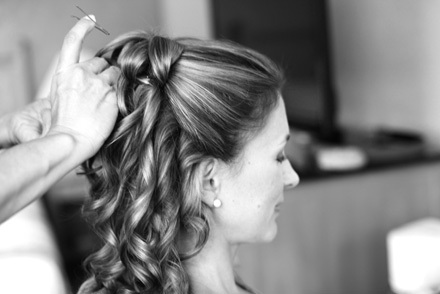 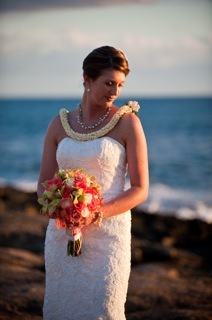 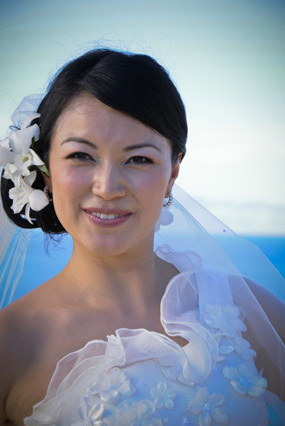 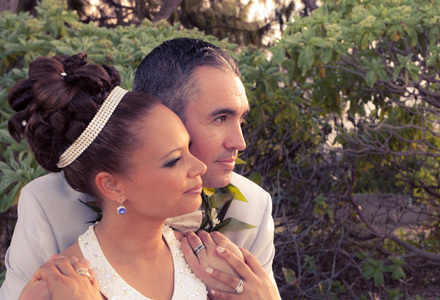 Floral details frame the wavy locks of our natural, glowing bride at the North Shore of Oahu.